These cute Safari animals are just jumping out of their box to come and visit you! 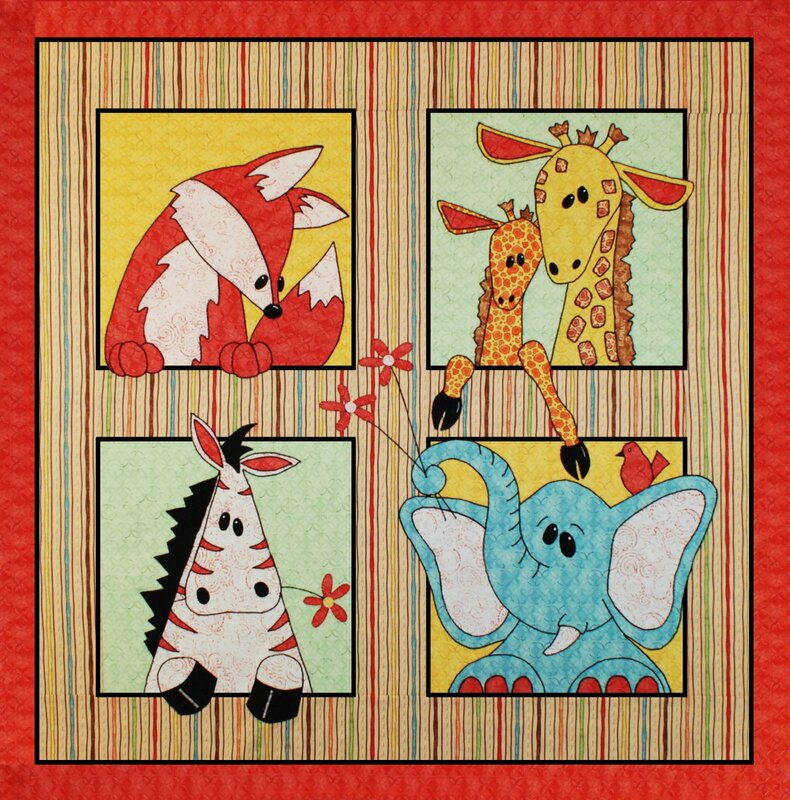 Great for those Safari baby rooms and I have lots of coordinating patterns, fabric and embroidery to go along with this quilt! Easy to assemble, fun to make, there is even room to add a baby's name on the borders if you like! Brand new just for you! See corrected fabric requirements!